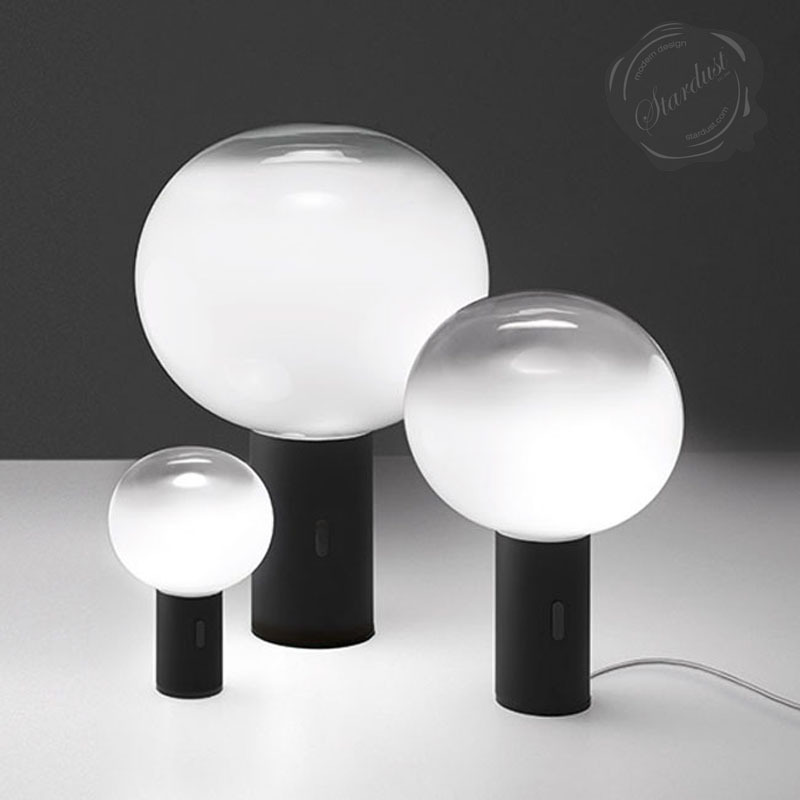 Artemide, Laguna table lamp collection in Blown glass from Venice from Stardust.com. 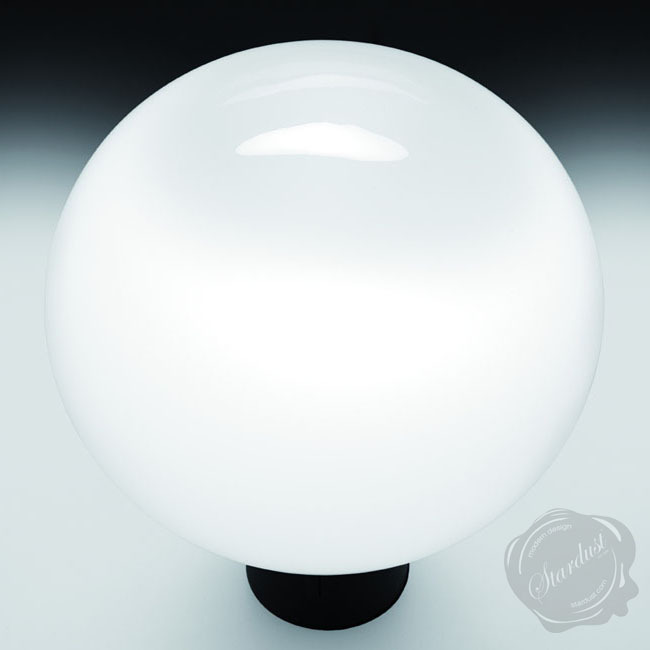 The lagoon in between Venice and Murano, with its fascinating glass making atmosphere created by the sea, the natural light and mist, inspires this modern collection of spherical murano glass lamps coming in different hues of white and crystal. 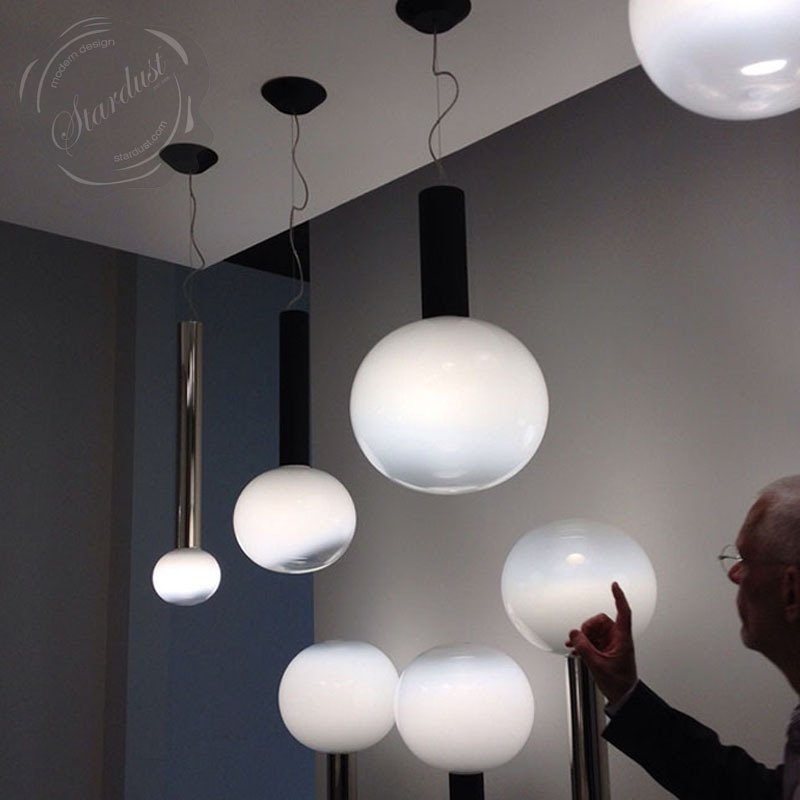 The mood of the collection reflects its main material: blown glass from Venice. Design by Matteo Thun and Antonio Rodriguez. 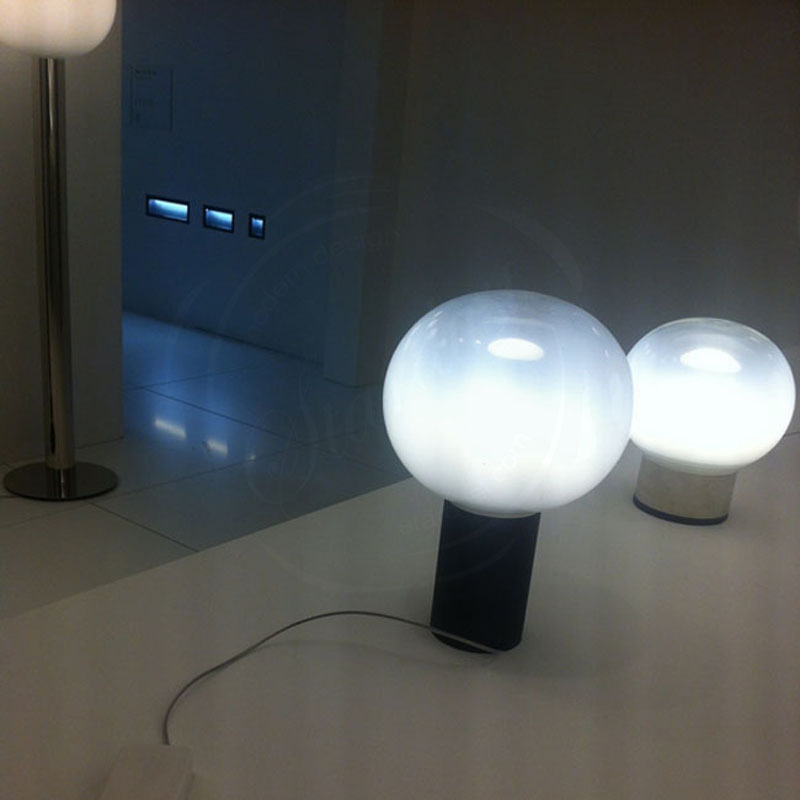 Artemide Laguna Table Lamp design by Matteo Thun and Antonio Rodriguez Laguna is a table standing luminaire for diffused lighting. 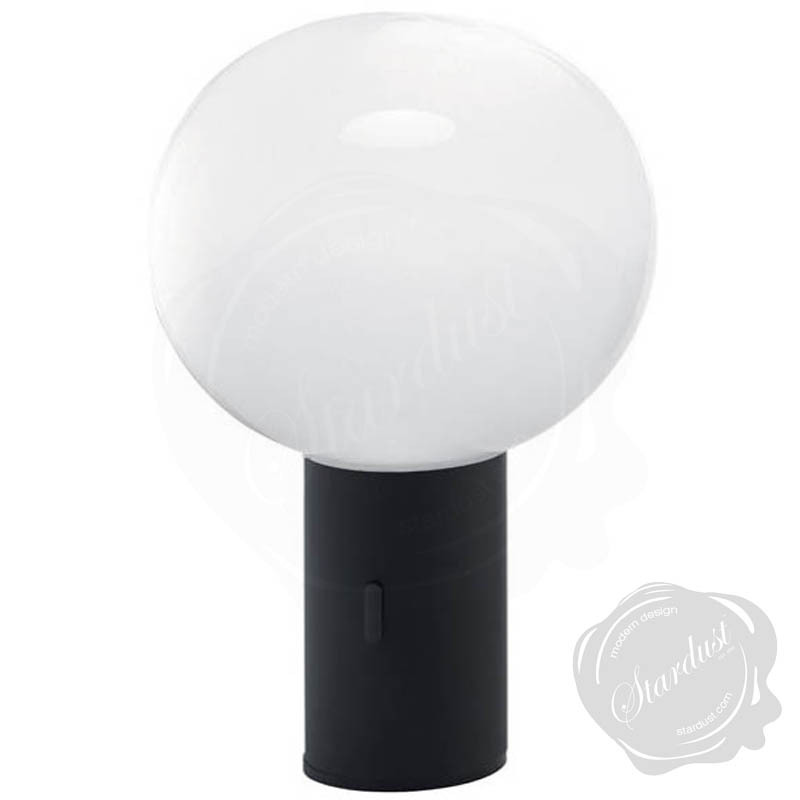 Features Base in aluminum painted black Diffuser in milky-white handblown glass with crystal finish at the top allowing soft and powerful light at the same time Dimmer switch on body Interchangeable plug options accomodate most countries electrical outlets. matteo thun, architect and designer, born in bolzano in 1952, studied at the academy of salzburg with oskar kokoschka and at the university of florence. 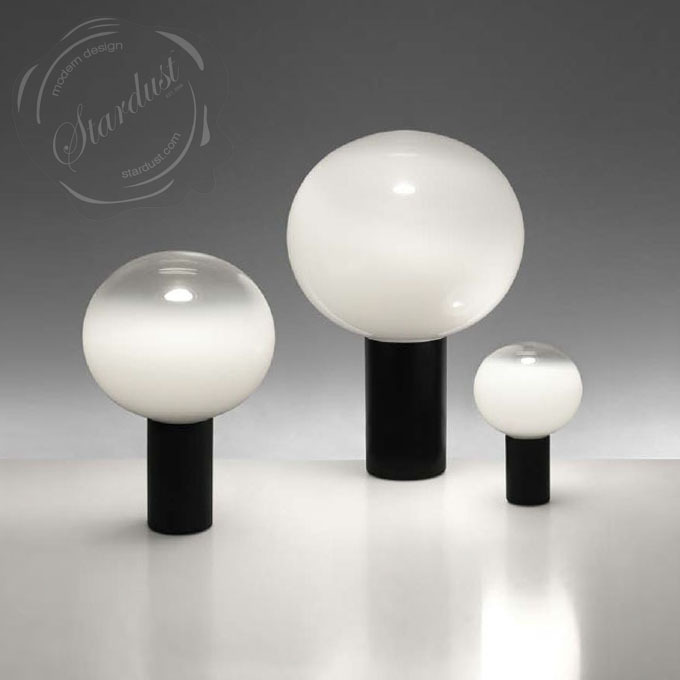 after having worked with ettore sottsass, matteo thun became the co-founder of the ‘memphis’group in milan and partner of ‘sottsass associati’ from 1980 to 1984 when he opened his own studio in milan. in parallel he taught at the faculty of design at the university of applied arts in vienna (hochschule für angewandte kunst, wien) from 1983 to 2000. in addition he acted as art director for swatch from 1990 to 1993. in 2000 he started the m.t. partnership (mtp) with the partners luca colombo, herbert rathmaier and antonio rodriguez. today, the studio includes a team of 50 architects and designers.